How to operate a road Grader? The operation of a motor grader on County Maintained Roads requires a certain amount of training, developed skill and raw talent. What goes into the making of an experienced ‘blade operator’ was addressed in a project written by one of the Highway & Floodplain Department’s former Road Yard Foremen, Arnold Arvizu, during a Certified Public Management course. It exemplifies the attitude that many of our employees (past and present) possess and details some of the requirements we look for in operators. Not everyone can achieve the skill levels exhibited by the equipment operators, and they demonstrate uncommon dedication in the performance of their duties. The Highway & Floodplain Department is very proud of our road workers, many of them having been invited to demonstrate their skills overseas while training road maintenance workers and builders around the world. Anyone who has not actually operated a piece of construction machinery like a motor blade, a front end loader or a back hoe may not understand that an operator develops a feel for the equipment in order to use it properly and safely. Maintenance of the vehicle is also critical to operate it at its full potential. Just as an operator needs to become familiar with the idiosyncrasies of a particular motor blade, it is also important to become mechanically familiar with the parts of the vehicle. Through training and referencing the operator’s manual, operators become familiar with things like location of grease fittings and filler reservoirs, correct procedures for changing and maintaining the blade (or “mold board”), or other mechanical parts when necessary. Trainees are often given an opportunity to work with a lead operator who has experience on the vehicle, and they may spend some time together learning the ropes on a lightly traveled road where the new operator can develop a feel for the equipment before tackling other assignments independently. “You always have to run it on a straight line and cannot put too much pressure on the ground or else you will dig up material you want left on the ground. If it is too high you will leave rocks andtoo much material not wanted on the ground. The Foreman believes that if the initiative and the proper feel are there, years of operating a motor blade will transform an average operator, but it does require some sensitivity similar to what pilots refer to as “flying by the seat of your pants”. You have to be able to feel the changes in the terrain, and you have to be able to adjust the blade to compensate for the slightest tilt or slope as the operator’s body adjusts its balance. Below, we can see an example of what can happen if bar ditches are reshaped by excessive cutting. It can mean the loss of road width for both travel lanes. The windrow (a ridge of loose material left by the blade along the edge of the travel way) is pulled out from the bar ditch without cutting the shoulder. Without the proper feel for the motor blade, there is a risk that mistakes may be made in the manner in which the road is graded. Among the most important of mistakes to be avoided is that of cutting the crown of the road. Normally the crown will be in the center of the road, allowing water to run off to the sides of the road. Replacing material from the crown after it is graded flat is difficult to do because it requires a certain amount of moisture and compaction to properly reform a crown that will stand up to normal traffic. Similarly, the necessary sensitivity of an operator may protect a road’s “one way crown” sloping from one side to the opposite, or an “inverted crown” that allows the center of the roadway to serve as a drainage channel instead of diverting water to bar ditches along the sides of the road. Any road feature designed to allow for drainage and prevent degradation of the road surface needs to be protected, and the design of the road is not subject to arbitrary changes decided by a grader operator. With very few exceptions, changes in the shape of a road are planned to accommodate a recognized problem. To add to the difficulty of most normal operations, creating transitions between crowned and inverted crowned road systems requires experience and a high degree of skill and patience. The complexities of grading a road are compounded by the addition of many road features such as water turnouts, dip sections, cattle guards, driveways, mail boxes, signage and various other natural and manmade objects located close to the work area. All of these features-sometimes obstacles-must be dealt with carefully. Intersections can be tricky as well, especially where a dirt road meets a chip sealed surface. Pavement cannot be cut when the blade is used to “clean up” at intersections, and the radius at each corner must allow for optimum drainage whenever possible. The approaches should be smooth and free of debris or windrows of material left behind. Keeping the surface of a dirt road in good repair is difficult, at best. The grader operator often has to exercise some creativity in performing routine maintenance, as there may be special conditions to deal with at times that could prevent completion of a job, or affect the quality of work. 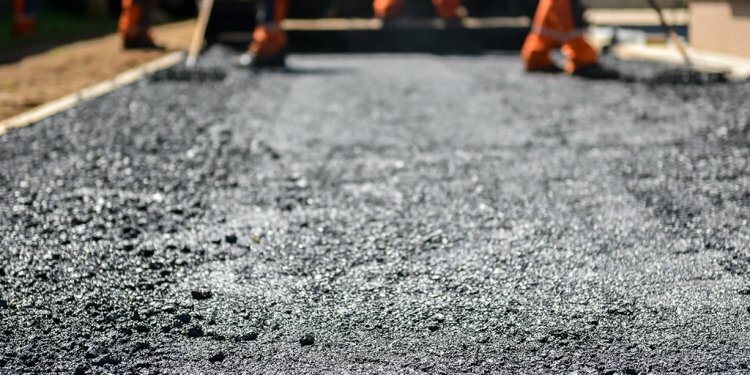 Grading could be affected by conditions such as excessive moisture levels or by the amount of time available to repair particularly heavy road damage from unusual traffic volumes or weather effects. Severely wash-boarded roads can result from excessive amounts of heavy traffic or high speed traffic. Vibration is the predominant cause of corrugation in the road surface, and proper grading with a motor blade is the only way to smooth the surface back to its original condition. If extensive grading is needed, or if additional material is not available to cap the road, it may not be possible to restore the road to optimal driving condition. On roads that are restored, if traffic continues to pass at high speeds, the increased vibration that led to the wash board appearance and feel of the road could recreate the washboard effect in a very short period of time. A common misunderstanding is that traveling fast over a washboard road will reduce the discomfort and lessen wear on the mechanical parts of a car. In fact, high speeds on a rough road increase wear and tear on the vehicle, and the damage to the road is only magnified. In some areas, too, the condition of the road may be extremely difficult to maintain because pre-existing soil types or the original design of the road. The lack of soil or design can also affect grading operations for there must be sufficient room in which to work and without enough material left on the surface, underlying rock or other unsuitable road base material could render further maintenance nearly impossible. In Cochise County one can find many roads that were created on terrain in which the rocky substrate quickly becomes the road surface as wind, water and high speed traffic wears away the driving surface. Over grading, too, can reduce the road surface to jagged rock, and the best solution to such problems is the eventual reconstruction of the road. How to operate a Reach Truck? How to Operate a Wheel Loader? How to operate a Crane truck?